New orders ship in 2-4 days. "We want to apologize for the delays in getting Rifts to doorsteps. We appreciate that without your support, VR wouldn’t be where it is today. 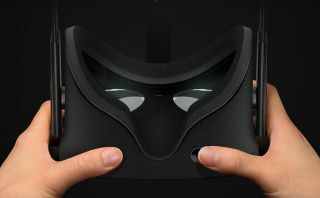 Thank you for your patience over the past few months," Oculus stated in a blog post. Oculus also said it's ramping up inventory for retail store locations that sell the Rift in the U.S., both online and brick-and-mortar. Sometime this month you'll be able to find Rift headsets at select Microsoft Stores. And if you're interested in trying out a unit to see what all the fuss is about, Oculus is expanding its demo space at Best Buy to more than 500 U.S. store locations this fall. In addition to catching up with pre-orders, Oculus announced that its Connect 3 developer event will be held in San Jose, California, from October 5-7. Oculus says it will be the largest one yet, with more than 50 technical talks from the likes of Brendan Iribe, John Carmack, and Michael Abrash, to name a few of the keynote speakers.